There are so many different kinds of diets designed for weight loss out there. From calorie restriction to Atkins to juice cleanses, all of these trends promise incredible and immediate results. However, even if you do lose weight using one of these programs, you will struggle to sustain it. After all, you can’t live off cabbage soup alone for the rest of your life! When you are trying to lose weight, you shouldn’t punish, hate, or starve yourself. This will only lead to disappointment and backsliding. That is why it is our goal at Fit In New England (F.I.N.E.) 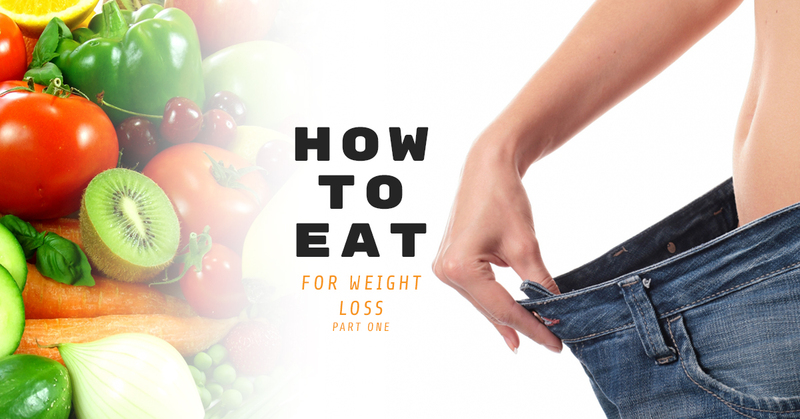 to teach people how to eat in a healthy way that leads to sustainable weight loss. It is common knowledge that the basic equation of weight loss is simple: you need to expend more calories than you consume. However, weight loss is much more complicated when you actually apply it to your life, and more contributes to sustaining weight loss than simply eating fewer calories than you burn. One of the factors that influences how much weight you lose is how fast you eat. Research shows that the slower you eat, the more calories you burn. Additionally, when you eat slower, it allows you to feel completely satiated, reducing how often you feel the need to reach for a snack. Finally, when you slow down your eating, you get better at assessing how full you feel in relation to how much you have eaten, allowing you to be able to stop eating once you are satisfied. As a general rule, women will want to have one serving of each for every meal, while men will want to eat two servings per meal. In our next blog, we will continue to go over strategies for eating for weight loss. Diet is a major component of weight loss, but it is not the only one. Regular exercise is also important for sustained weight loss. 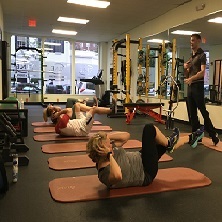 If losing weight is your goal, you need a local gym in Medford. 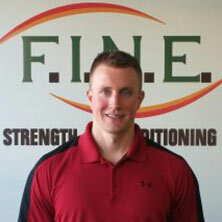 At F.I.N.E., we are proud to provide those local to Medford with a gym that truly cares. 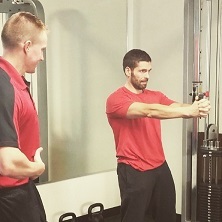 We can help you achieve your fitness goals, whether they are weight loss, muscle building, or simply having a healthier lifestyle. 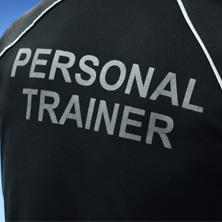 Learn more by contacting us today!